Welcome to Disability Hoist Hire, the patient lifting equipment rental and training specialists. Disability Hoist Hire offer short and long term hoist hire - a cost effective way to meet your manual handling needs. Hoist training can also be provided for individuals or groups by our specialist manual handling advisory team. The health and social care sector are amongst the highest risk areas for back injuries at work. Approximately half of all accidents reported in these sectors happen to workers assisting or moving individuals with mobility problems. Manual handling injuries are, however, preventable. Our specialist advisors will be able to provide you with assistance whilst choosing your hoist. Individuals with mobility problems are heavy and unpredictable loads and, therefore, workers handling patients with mobility problems are covered by the Manual Handling Regulations 1992. These Regulations say that employers MUST: Avoid manual handling wherever possible, Assess the risks and reduce them as far as is reasonably practicable. Since discovering the Disability hoist hire service, I’ve gained my independence to go out of the house and enjoy living again. I no longer feel like I’m confined to my house. Now I have the freedom to stay in hotels knowing I have easy access to the equipment I need to ensure I’m transferred safety. I’m so grateful to this service for giving me my life back! We have used "The Disability Hoist Hire" service for a number of guest speaker events within the University and have great confidence in the service they provide. It is important to us that we can provide access and cater to the needs of all individuals. The disability hoist hire service means we can run events that are accessible to all individuals. It’s highly rewarding when we receive a special request to know we can cater to their needs. 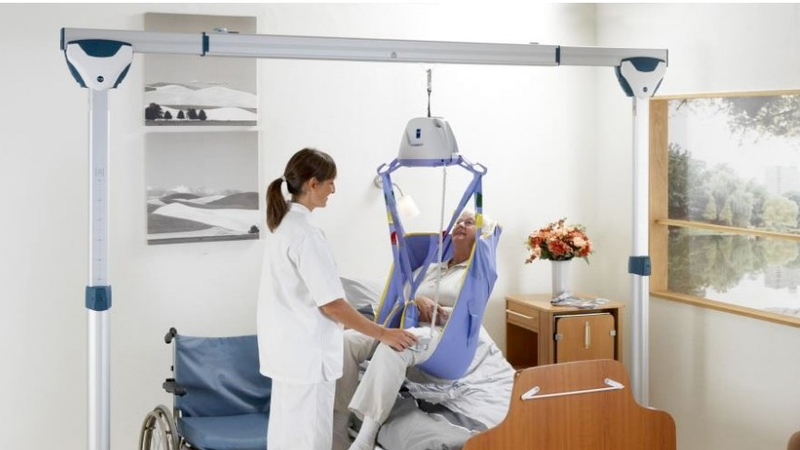 The disability hoist hire recommend the best type of hoist available for the individual and provides outstanding expert knowledge. As a private service we hope to think we can offer the highest standard of care for all our patients. Thanks to the disability hoist hire service we can ensure we have the most suitable hoist in place for our patients. Thanks to the flexibility of this service we can renew length of hire to meet our patients length of stay. As a case manager, I find this service highly effective and it ensures I can provide the physiotherapists or occupational therapists involved in the rehabilitation of my client with adequate equipment they require to meet the level of support for my patients changing needs. 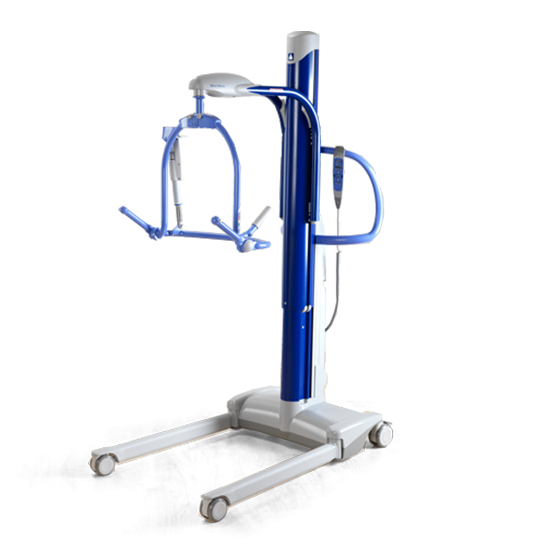 The flexibility in the equipment hire means I can easily adjust the equipment to meet the needs of the patient through their rehabilitation.